When you submit your order, you are offering to purchase products from us at the prices indicated in the Catalogue or on the Website, as applicable. The contract between us is not formed until we have acknowledged acceptance of your order or we dispatch the products to you, whichever is the earlier. If you discover you have made a mistake with your order after you have submitted it to us, please contact us immediately so we can correct the mistake before the products are dispatched. If you are aged under 18, please get your parent / guardian’s consent before ordering. All orders for products from the Website must be placed using the shopping basket facility provided on the Website. To be able to order on the Website you will need to register on the Website and log-in using your unique log-in details that we provide to you as part of the registration process (e.g. username, password). You are responsible for maintaining the confidentiality of your log-in details. You should contact us as soon as possible if you believe that anyone has obtained your log-in details without your permission or if you become aware of any other breach of security on the Website. We will not be responsible to you if there is unauthorised access to your log-in details or unauthorised activity on the Website as a result of your log-in details becoming compromised, unless this is due to our negligence. When ordering on the Website you will be directed to a secure website operated by our provider of on-line payment facilities where you can enter your payment information. Once you have entered your payment information and your payment has been confirmed, you will then be directed to a final confirmation screen on the Website displaying the details relating to your order. Products will be delivered to the delivery address specified by you when making your order. If you order more than one product in a single order, then they may be dispatched separately and arrive with you at different times. 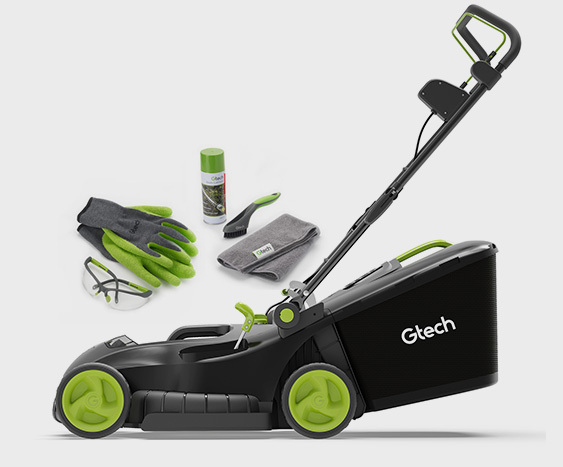 For floorcare, grass trimmers and hedge trimmers please allow up to 5 working days for delivery. For lawnmowers, leaf blowers, all spares and accessories please allow up to 10 working days for delivery. If you wish to have products delivered outside the UK please contact us by telephone on 0800 484 0215 before placing an order. Charges and delivery time will vary. The prices indicated in the Catalogue and on the Website include VAT unless otherwise stated. Payment must be made in British pounds. You can pay for products using most major credit and debit cards. It is your responsibility to ensure that the payment details you provide are correct and complete. We are not responsible for supplying products if the details you submit when making your order are incorrect or incomplete. No payment will be deemed to have been made until we have cleared funds and we will not dispatch the products until we receive payment in full. The prices in the Catalogue and on the Website are checked regularly to seek to ensure they are accurate and up-to-date. However, if we find they have changed when we receive your order we will contact you and ask if you wish to proceed. To redeem your gift card or voucher code, enter your individual voucher code in the “voucher code” box on the order summary page. Gift cards and voucher codes are only valid for the combination of products or services specified at the point you were provided with the card or code. Exclusions and limitations will be stated at that point. All purchases are subject to standard www.gtech.co.uk terms and conditions. Gift cards and voucher code may only be used once. Voucher codes are not valid in conjunction with any other promotion and are not valid on sale items or other discounted items including bundles. Voucher codes are non-transferable. Resale and distribution of voucher codes is prohibited, including unauthorised publication of voucher codes on any internet forum, website or social media. A voucher code entitles you to a saving on a new order. There is no cash alternative. Voucher codes are not valid for the purchase of gift cards or gift vouchers. We reserve the right to withdraw voucher codes at any time and without prior notice. 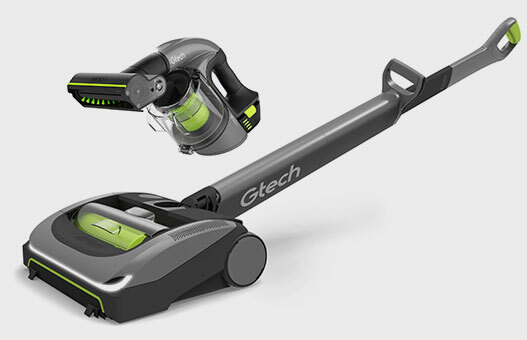 All products ordered from www.gtech.co.uk (or by telephone from Gtech) are covered by a 30-day money back guarantee. If you change your mind we ask that you return the product to us in its original condition with your proof of purchase within 30 days. We will happily either exchange it or give you a full refund. Please note that we are happy to arrange the return carriage but we do ask that you cover the cost of £10 per order for all products excluding eBikes where the return carriage charge is £50 per eBike. Our 30 day money back guarantee does not affect your statutory rights. To register a product for Gtech warranty visit www.gtech.co.uk/warrantyregistration. All products are covered by a 2 year guarantee. To qualify, your product must be registered within 3 months of date of purchase. You must provide proof of delivery/purchase before any work can be carried out on the product. Without this proof, any work carried out will be chargeable. Please keep your receipt or delivery note. All work will be carried out by Gtech or its authorised agents. Any parts which are replaced will become the property of Gtech. The repair or replacement of your product is under guarantee and will not extend the period of guarantee. The guarantee provides benefits which are additional to and do not affect your statutory right as a consumer. Normal wear and tear (e.g. belt brush bar, batteries). Accidental damage, faults caused by negligent use or care, misuse, neglect, careless operation or handling of the product which is not in accordance with the operating manual. Blockages - please refer to the operating manual for details of how to unblock your vacuum cleaner. Use of the product for anything other than the normal domestic household purposes. Use of parts and accessories which are not Gtech Genuine Components. Faulty installation (except where installed by Gtech). Repairs or alterations carried out by parties other than Gtech or its authorised agents. If you are in doubt as to what is covered by your guarantee, please call the Gtech Customer Care Helpline on UK: 0800 484 0215. Entry by post - If you would like to enter a Competition without registering with Gtech, please send a postcard with your name, address, email address and the name of the competition to: Gtech, Brindley Road, Warndon, Worcestershire. WR4 9FB. Requests by letter must be received on or before the close date of the respective Competition. Gtech works with carefully selected third parties to deliver advertising mail to qualified UK consumers. Gtech and the third parties it works with all work strictly under the Data Protection Act (1998) and within Direct Marketing Association (DMA) Code of Practice to ensure that any data that we use has been collected fairly and lawfully. The third parties we work with are all registered with the Information Commissioners Office (ICO). Any data we use for advertising mail excludes any individual that has signed up to the Mailing Preference Service (MPS). In addition, we also use commercially available data to screen out any known changes in address and other lapsed or out of date addresses. We do this to give us every chance of only delivering to current addresses who may be interested in our products. Finally, any data we use to produce postal advertising excludes anyone that as opted out of postal advertising from Gtech previously. If you require any further information regarding receipt of Gtech advertising mail please contact us. If you would like to opt out of all third party advertising mail we recommend that registering with the Mailing Preference Service (MPS). All Direct Marketing Association (DMA) member companies work with the MPS as a condition of membership. A notification we receive from an individual opting-out of advertising from Gtech takes effect immediately – no new postal advertising will be produced after that point (opt out is instant). If you would like to opt-out of Gtech postal advertising please contact-us. Gtech postal advertising has a production cycle of 1-2 months which, in rare instances, can mean that a subsequent item(s) of mail may be delivered after the opt-out notice. This means a maximum 90 period after the initial opt-out notice for postal advertising may apply in a very small percentage of cases. If you change address or any other personal details, please write to us at Gtech, Brindley Road, Warndon, Worcestershire. WR4 9FB so that we can update our records. Please contact our customer services team on 0800 484 0215 or write to Gtech, Brindley Road, Warndon, Worcestershire. WR4 9FB.